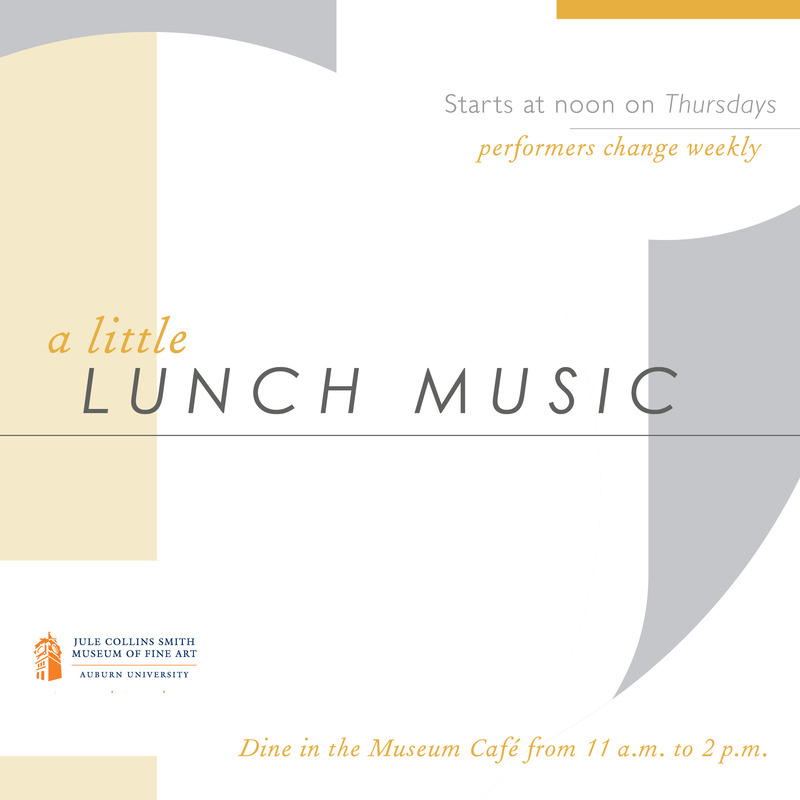 At noon on Thursday, March 24, the Montgomery Music Project will perform a free concert at JCSM as a part of the museum’s weekly series, “A Little Lunch Music.” The performance is being sponsored by Bob and Liz Greenleaf. The Montgomery Music Project (MMP) is a member of El Sistema USA, an alliance of El Sistema inspired programs. El Sistema is the Venezuelan music education group that promotes social change through music. It is famous for producing the LA Philharmonic conductor Gustavo Dudamel. Since 2014, Noemí Oeding has been the executive director of MMP, now in its fifth year. She said the hope is that MMP’s strategies can, through teaching music, give students the chance to succeed in life, whatever their backgrounds. Oeding said concepts like self-motivation, teamwork, and perseverance are all needed to be good musicians, but are just as important in normal life. Oeding said Thursday’s performance at the museum is an amazing opportunity. “Some of these kids have never left Montgomery,” she said. She added it will put them in the role of semi-professional musicians, something that commands respect and demands responsibility. Oeding said one student, who had natural musical abilities, reminded her of herself and came from a similar background. “She was coasting on her talent,” said Oeding, who pushed her to do more. She said now the student has flourished into a confident soloist and leader among her peers. And it’s not just that one student, said Oeding. “Musically, the kids have really taken off in the last couple of years,” she said. The group recently joined with the Park Crossing High School band and Hollywood filmmaker Sarah Adina Smith to make its first recording for a film score. Smith, who knows MMP’s founder Laura Usiskin, was looking for a certain sound for a scene in her movie. Oeding said the Project’s group of young players was a perfect fit. Thomas Hinds wrote a version of Richard Wagner’s “Ride of the Valkyries” for the group’s recording. “He’s a big supporter of the program, and he leapt at the chance to write an arrangement,” said Oeding. Hinds conducts the Montgomery Symphony Orchestra. MMP was established through the orchestra and operates under its oversight. Before MMP, Oeding said the only opportunity for most kids to learn strings in Montgomery was through the public school system’s magnet program. For that, a lottery determined who got to be involved. Now, six to ten string professionals are teaching with the Project at any given time. This makes opportunity for 111 children to learn in group lessons and two orchestras. She said membership reflects the cultural and socio-economic makeup of its Montgomery community. Oeding thinks 200 children could be involved in the next five years, but financial contributions are needed. She said Montgomery has the raw potential to produce many more participants. “If we had enough resources, we could reach a thousand students,” she said. The Museum Café is open from 11 a.m. to 2 p.m. Tuesday through Friday. The music can sometimes be heard inside the café, or visitors can dine before or after the concerts. Admission to the fine art exhibitions is free courtesy of JCSM Business Partners.